Peeling our children away from the endless days swimming in pools and strolling on beaches. 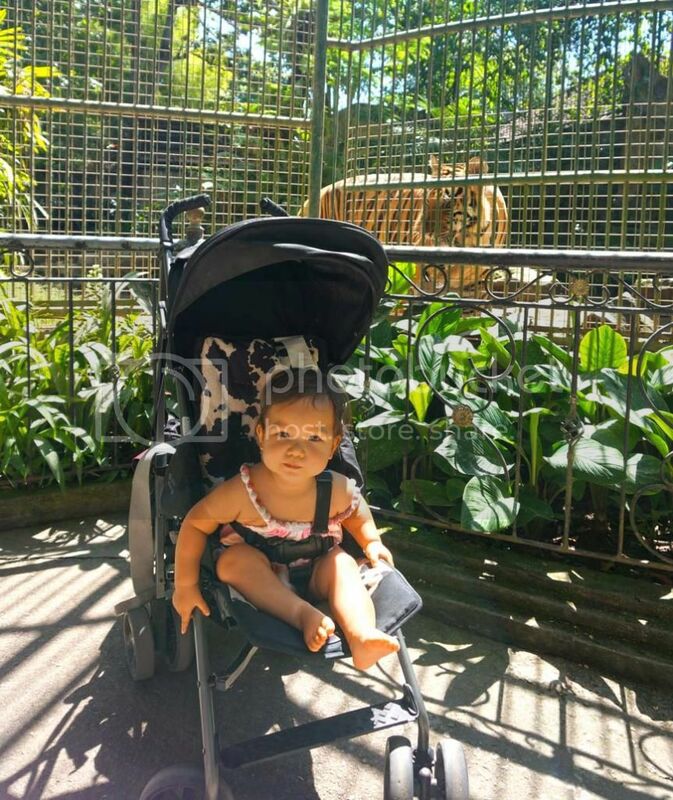 We took a day trip from Seminyak to Bali Zoo, offering plenty of kid friendly experiences unlike that of zoo’s back home. Although Asian zoos are not on par with the western world’s standard, Bali Zoo in Indonesia was surprisingly decent. The animals seemed well fed and somewhat content. The enclosures were quite large and some resembled their natural habitat. I felt that the zoo was doing its best with what they could afford. 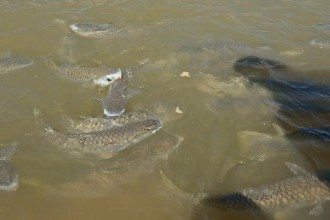 Indonesia is a 3rd world nation and some of the animals may just have more to eat than a lot of the locals. Still, there were some sad animals, like a great big Orangutan* sitting alone holding out his hand as if begging for food and big cats pacing back and forth. 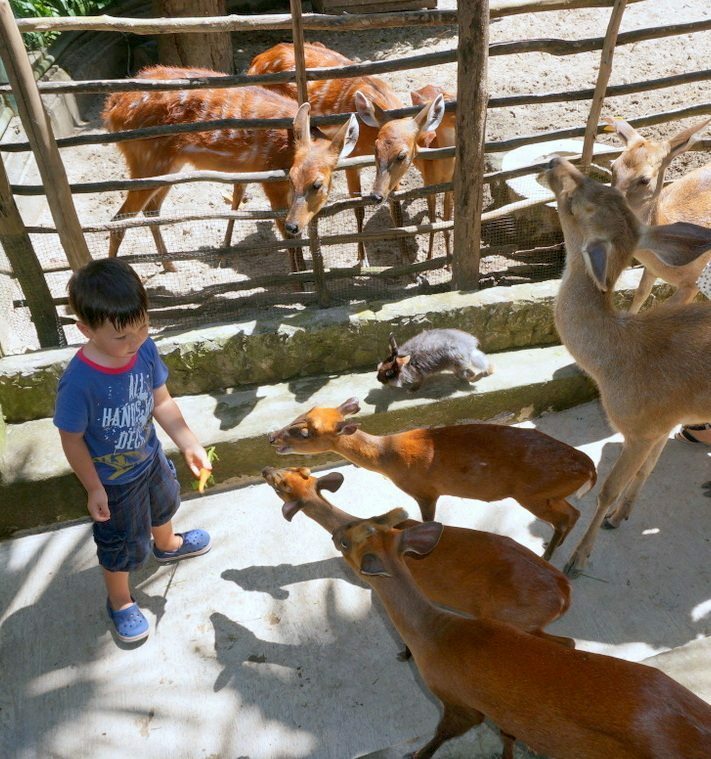 If you aren’t prepared for an Asian zoo experience, Bali offers many more kid- friendly activities, check out my Bali Guide with Kids for more details. 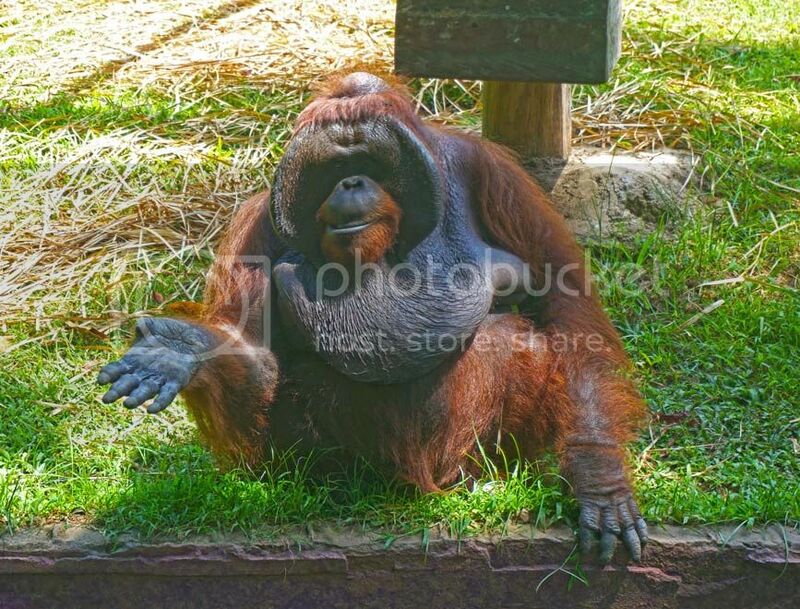 *I have since learned that the Orangutan holds out his hand for bananas, you throw him a whole one and he throws the peel back at you. 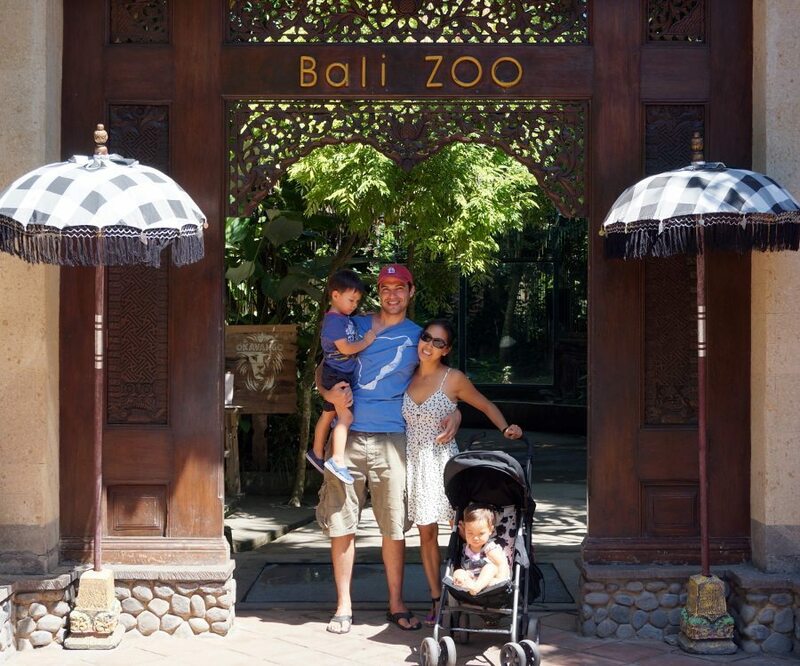 Despite the zoo’s standard compared with western nations, Bali Zoo was a fun experience and great for families. The main attraction at Bali Zoo is the elephant rides. It almost feels as if the zoo and the elephants are two separate attractions where you can experience one or both. If you haven’t ridden an elephant – give it a go. I can best describe it as softly padded, gentle moving, ears flapping, lightly swinging type of experience. With elephants, you have a sense the elephant is sizing you up and trying to figure you out. 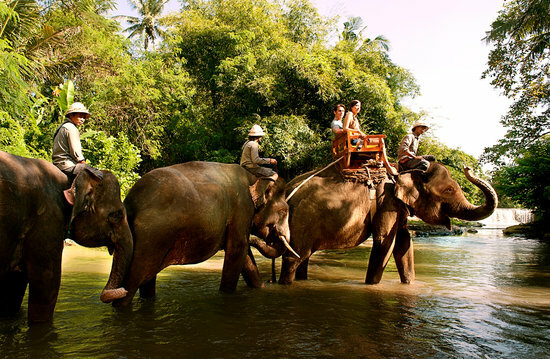 There are various elephant ride packages; a package that includes Bali Zoo entry, packages just for elephant rides. 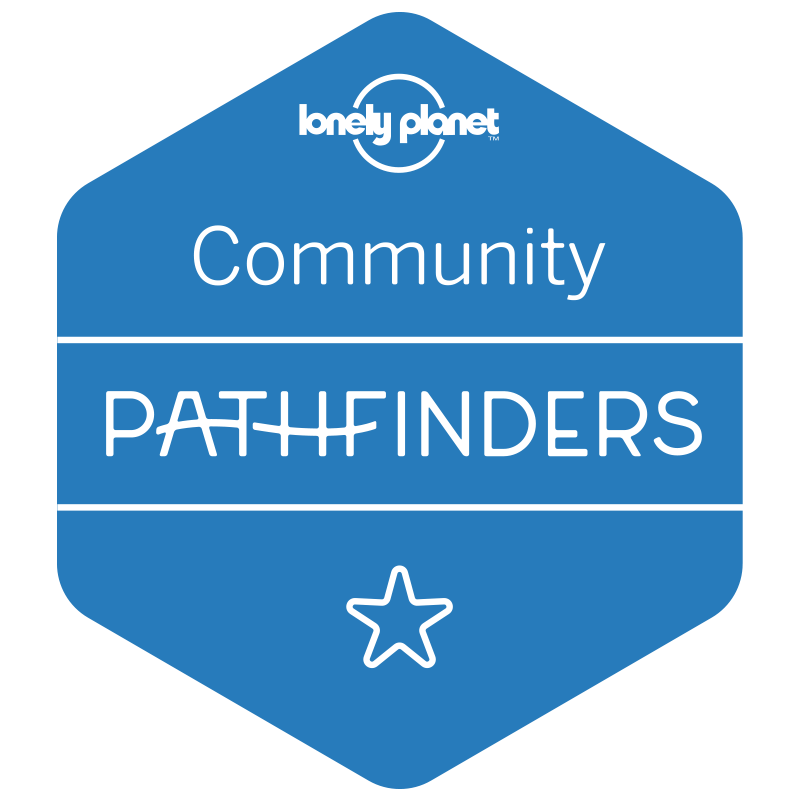 There are short walks and long treks as well as an “Elephant Expedition” which is completely separate offering where the trail goes through a river and pass a waterfall. 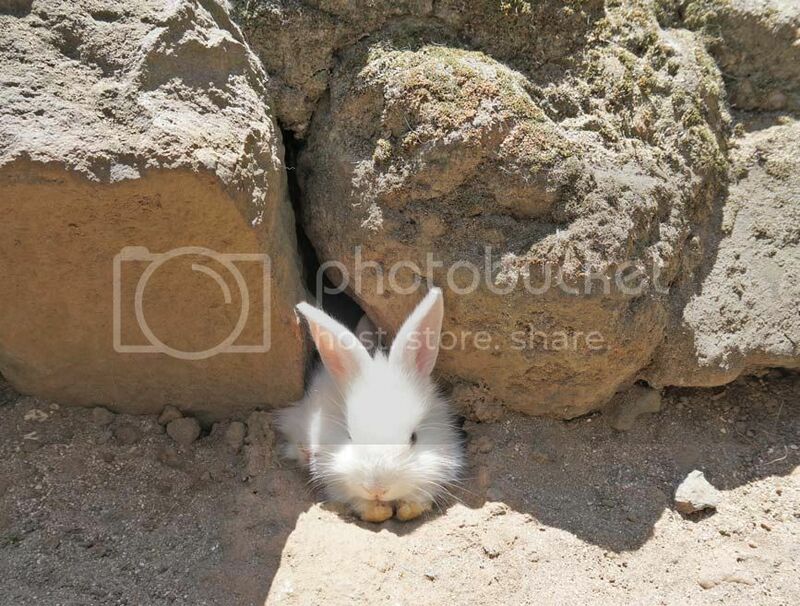 Asian zoos do have their own advantage, that is very affordable exotic animal experiences. 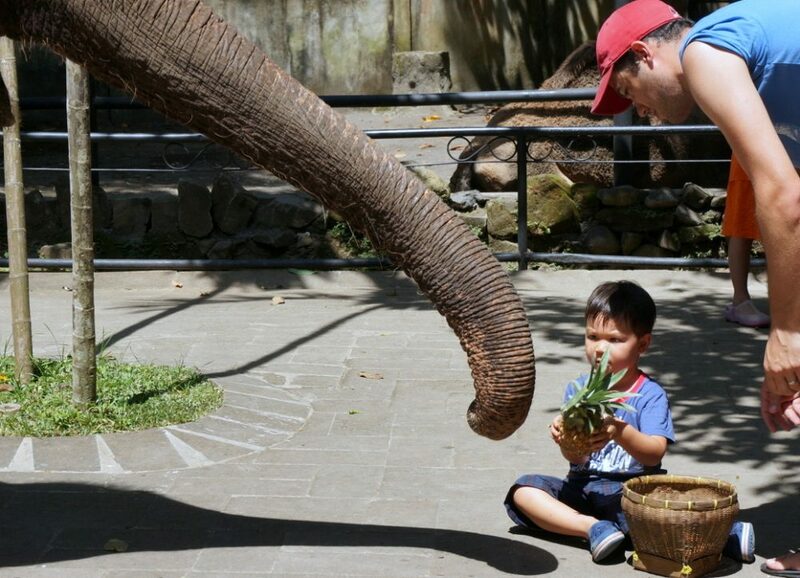 Bali Zoo allows you to feed the big ticket animals for $5! This small fee allows you the chance to get up close and personal with lions, tigers, crocodiles, and elephants. It’s not everyday you get to feed a tiger and it’s a delight to watch my four year old dangle a raw chicken with a makeshift bamboo rod over the tiger’s cage. As the tiger stretched up on it’s hind legs he was within arms reach of the tigers soft underbelly. 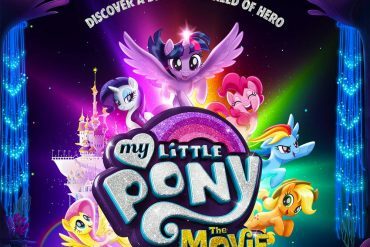 An awesome treat and one without any age restrictions. 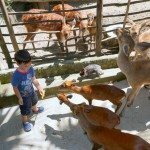 Is it safe to feed the animals at Bali Zoo? It felt completely safe as well, there is not one but two fences as well as a very long metal rod between you, the chicken and the tiger. Little fingers are kept far away from the jaws of big cats. The zoo keeper assured me that there is only a limited amount of chickens per day to be fed to the tigers to monitor their diet and they adhered to a feeding schedule. Once the chickens are fed, visitors are no longer offered the chance to feed them. We arrived at Bali Zoo in the middle of the morning with ample chooks to spare. 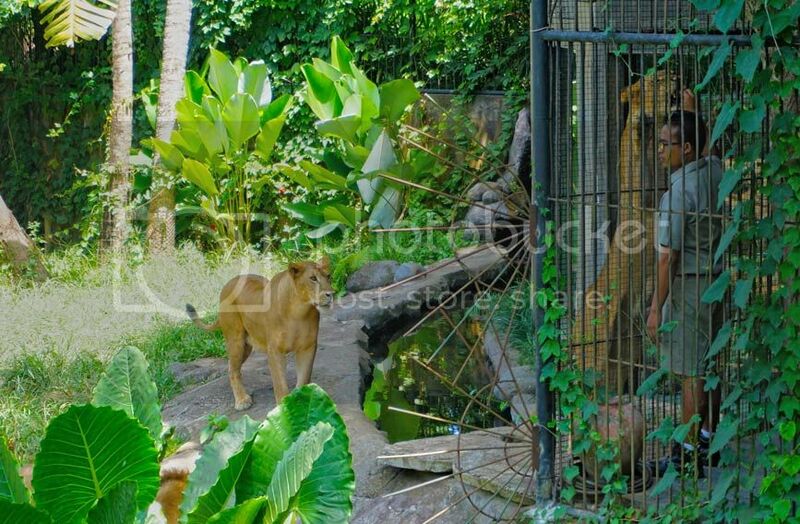 Is it ethical to feed the animals at Bali Zoo? It did not feel entirely unethical. 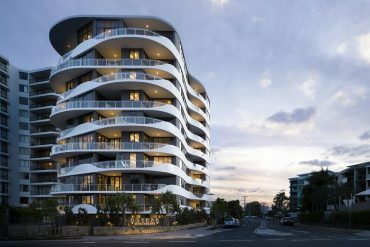 I am at the school of thought that tigers need to be fed and even world class zoos such as Taronga Zoo offer animal feeding experiences (their big cat experiences where you can feed the lions and tigers cost $59 exclusive of zoo entry). Whilst it is gimicky, it’s a good way to drum up some much needed extra funds, particularly as the animals need to be fed regardless. The $5 fee to feed animals is well within the means of the average visiting tourists, whereas an additional $59 per person back home becomes a stretch for most families. Riding elephants however is another ethics discussion on its own. 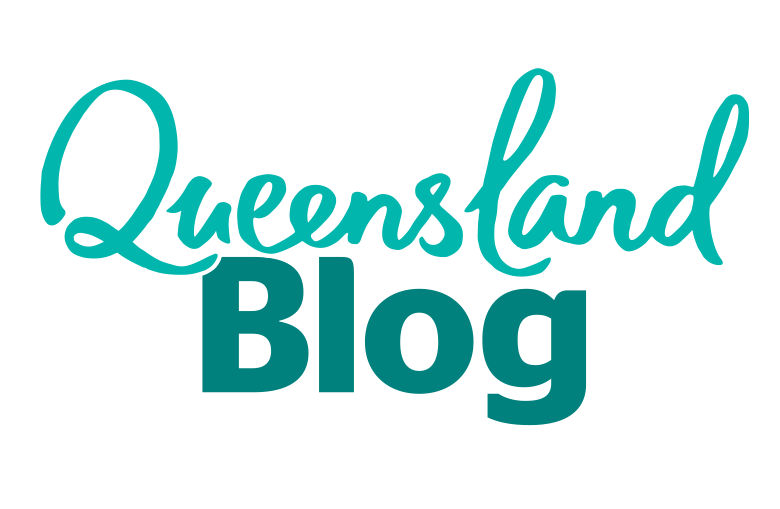 My 3 year old feeding a tiger a chook for $5 – a must do experience! And…what do elephants eat? Pineapples, of course! $5 goes a long way with a large basket of fruit. It was a beautiful moment when the gentle elephant cradles a pineapple with it’s trunk; straight from my child’s hands. My son was intently studying this moving appendage of the elephants trunk as he directed a whole pineapple down its huge gob. The elephant then eagerly swung his trunk back requesting more. The basket of fruit is devoured quite quickly. Less exotic but equally fun is the petting area where $5 gets you a bunch of carrots to feed deer, rabbit and goats. Be warned though, if you come baring carrots you will be be marauded by packs of hungry little critters. Located on Jalan Raya Singapdu, Gianyar, Bali and open 9am-6pm daily. Night safaris from 6pm-9.30pm daily. 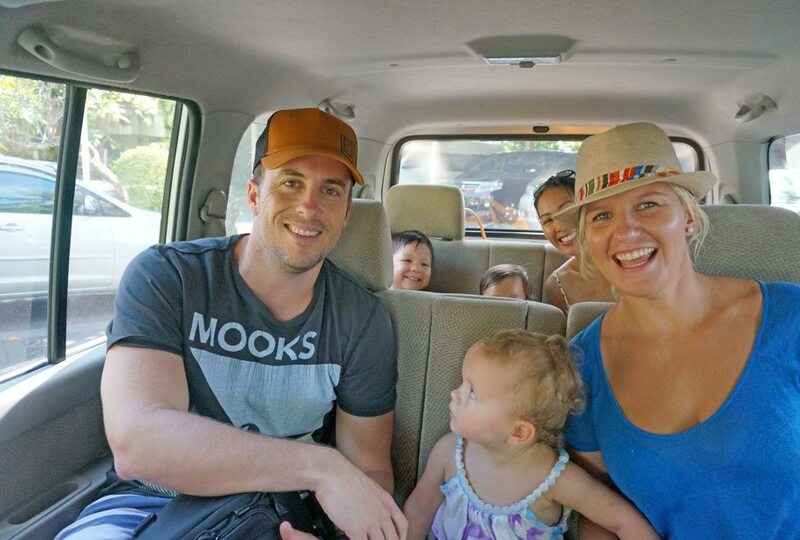 Getting to Bali Zoo with kids is half the experience, hire a driver and the kids will love riding in the back without car seats whilst checking out the organised chaos that is Bali traffic. Bali is so affordable that you can pay around $50-60 AUD for an air conditioned 8 seater van complete with chauffeur for the entire day. We went with friends and all seven of us fit comfortably. Hire a driver, our van sat 7 comfortably. Minus car seats. By hiring a driver, it allowed us to set our own pace and stop as we pleased. 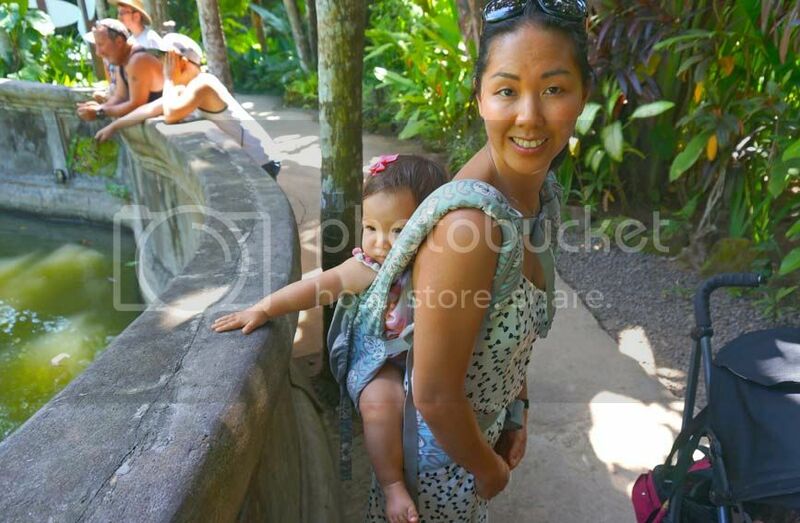 We combined our trip to Bali Zoo with nearby Ubud as part of a full day out. When we wanted to make stops, we would meet the driver at a certain time to pick us up. If we were running late, we could call or text the driver on the mobile to let him know. They were happy to wait for us. Though google maps say it’s 26 minutes from Seminyak. Allow at least an hour (1.5 hours depending on traffic) from Seminyak. The roads are narrow and winds it’s way around. It’s also full of cars and motorbikes. 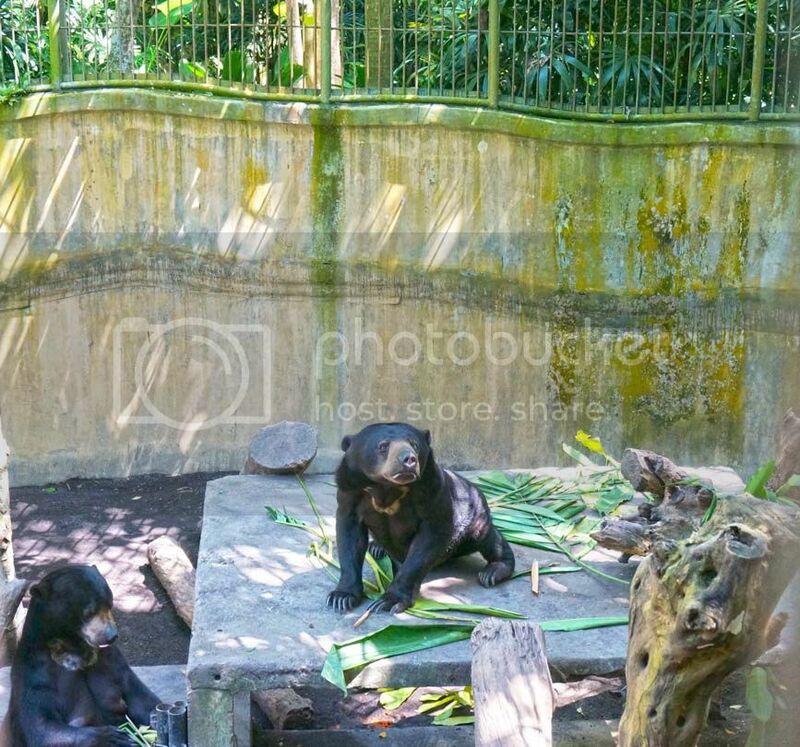 Ubud is 15-2o minutes from Bali Zoo. 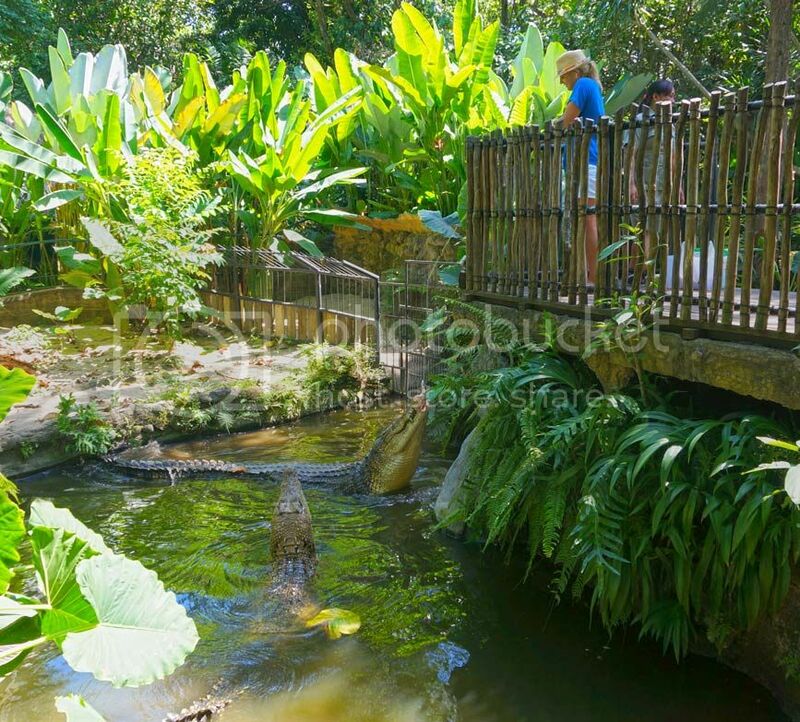 Bali Zoo also have packages that provides transfers, admissions which includes lunch. The bus picks you up from popular tourist spots such as Discovery Mall or along the resorts in Bali. Arranging your own driver works out more economical and easier with little kids. Bali Zoo is very affordable especially compared to Bali Marine and Safari Park. General zoo admission for adults cost $22 and children aged 2-12 cost $11, kids under 2 are free. 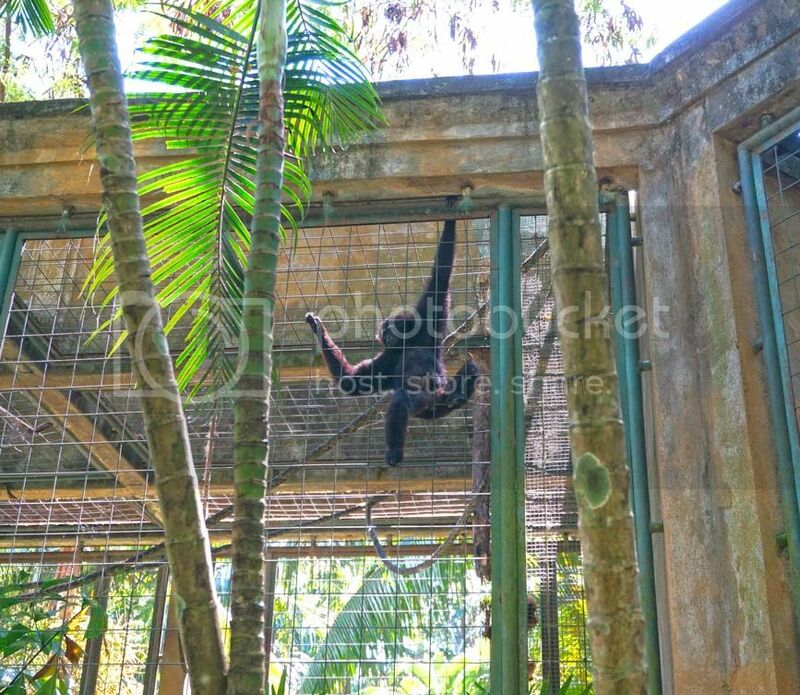 Check up to date prices for Bali Zoo here. Depending on whether you want to ride an elephant the ticket prices then increase. For families with young kids the general admission is more than enough to keep kids occupied. If you want to ride an elephant they have a short and long elephant safari ticket which cost $57 (short ride / 15 minutes) or $70 (long ride / 30 minutes) per adult and $40 (short ride) or $49 (long ride). Kids under 2 ride free. 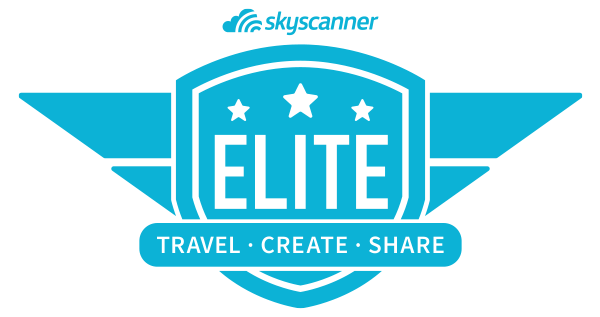 Ticket prices are tiered with more inclusions and features including; food, animal encounters, souvenirs and feeding elephants to name a few. There are also night safari options with or without food or for a hefty $525 per adult you can be trained as a Mahout for the day. The prices aren’t extortionate considering what’s included, how often do you get a chance to ride an elephant with your family? Compared to Australia, this is considered a bargain. We took our strollers along for the little ones whom were just under 2. However strollers are not absolutely necessary, it was handy when my 3 year old got tired and when it neared nap time. I ended up switching to my Ergo just to be a little more nimble as exhibits involved lifting my daughter in and out of the stroller to see the animals. The pathways are quite stroller friendly (a little bumpy at times) there are also stairs every so often that required another adult to carry the stroller up or down. Bali Zoo is a smaller zoo, apart from the Elephant Safari (rides) section all the exhibits are close to one another and loops around to the entrance. It’s easy to get around. 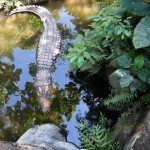 How long do you need at Bali Zoo? Although I say Bali Zoo is small, it’s still packed with allot of things to do. With young kids you will need at least 3-4 hours to explore. 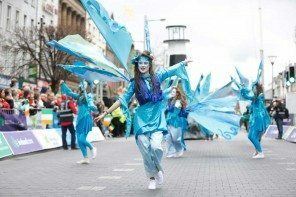 A little more if you are considering the elephant ride and taking in a couple of the shows. Water bottles to keep fluids up. Water bottles are permitted as opposed to Bali Safari and Marine Park. It does get really warm and humid with little shelter. Snacks for the little ones. Which are permitted. Bali Zoo vs Bali Safari and Marine Park? Having been to both, I feel Bali Zoo and Bali Safari Marine Park have their own characteristics. Both have similar activities including feeding animals, animal encounters and riding elephants. Both have wildlife shows included in admission and both attractions focus on animals. They also both have tiered packages that go from general admission to complete animal experiences with food and extras. 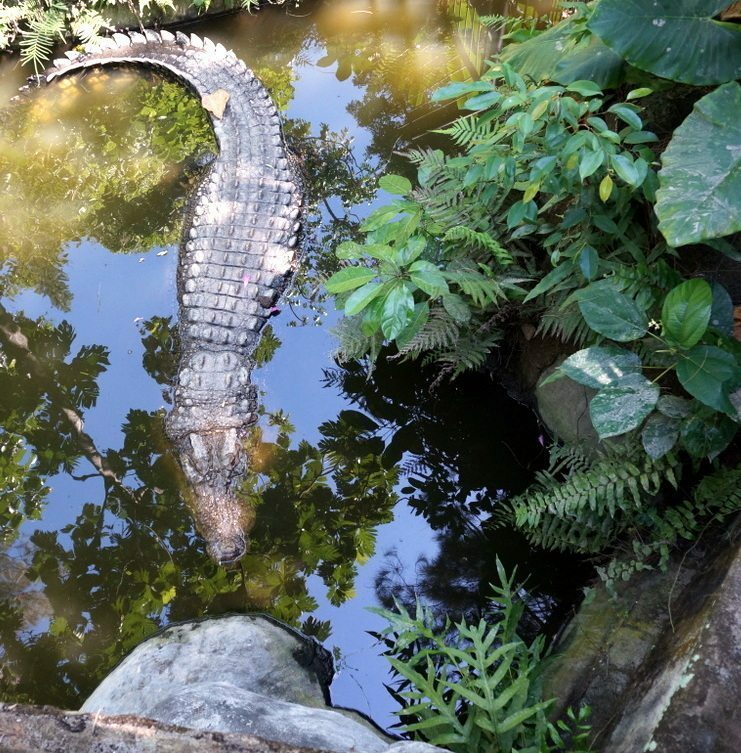 Where they differ is that Bali Zoo is more of an intimate and authentic zoo experience whereas Bali Safari Marine Park is more of an animal theme park. Both are big tourist draw-cards and I would recommend going to one or the other, but not both on the same trip. 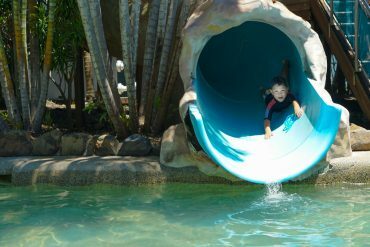 If I had to pick one that is more kid centric, I would recommend Bali Safari Marine Park as it encompasses more than just animals. 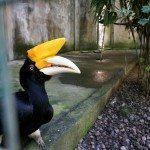 However if you are happy with just animals or have limited time and want to spend less you will have as much fun at Bali Zoo. 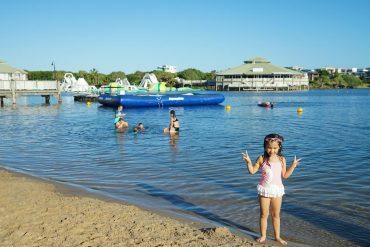 My detailed review of Bali Safari and Marine Park with kids here. 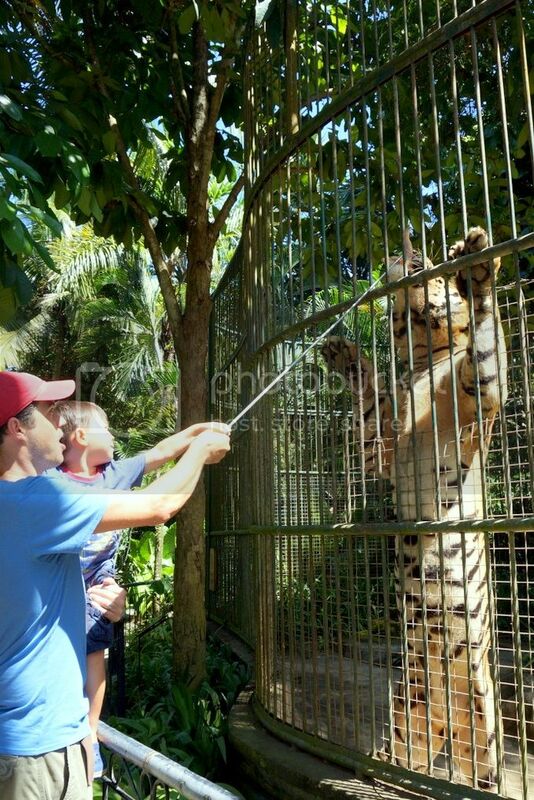 Personally, I prefer Bali Zoo just for the the hands on animal feeding experiences which is great value for money and something my kids still talk about. The renovated toilets have lovely natural animal exhibits by the sink. It’s weird to note the toilets but these enclosures is where I think the Zoo wants it’s standards to be if it had more funding. Part restaurant, part lion den. A keeper feeds a lion. 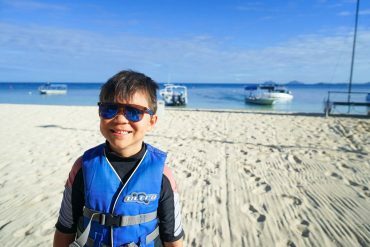 Check out my Bali Safari and Marine Park with kids post or for more details or for everything to do with Bali with kids, check out my Complete Guide to Bali with Kids post. Please leave a comment below if you are planning a trip to Bali Zoo or want more details on our day trip. 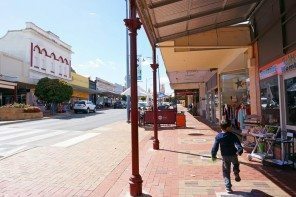 I’d love to hear any thoughts on this post. Loved reading this! WE’re getting to Bali again soon. Last time I did temples only. This time I was looking for something ‘cooler’ to do. 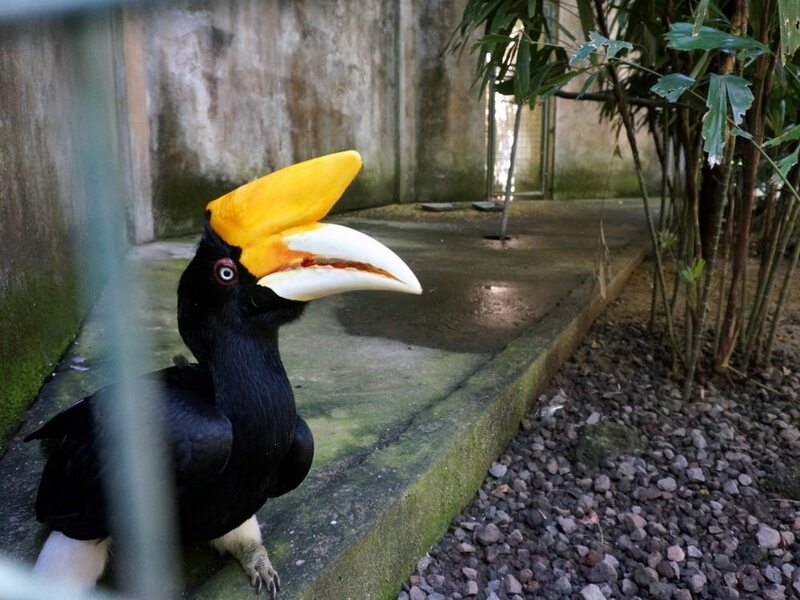 Thanks for all the information – Bali Zoo it is! Oh, do they take American dollars or should I exchange before going, do you know? Thanks a lot! Hi information on this blog is amazing I strongly agree about the information about bali zoo is very interesting, because I’ve been to bali zoo there are banya animals or rare animals are on guard so as not to extinct, bali zoo this is a tourist attraction with forest residence The animal, and you can ride the elephant with the keepers around the forest is very exciting, I love bali zoo I highly recommend it, this place spend your vacation. Hi there! I noticed that you were happy to ride elephants at the Bali Zoo, I just thought I’d share that elephant riding isn’t the most humane way to spend time with elephants. Not many people know this about elephant riding so it would be great if you could write a post on this. Thanks! No worries Megan, thanks for reading. Thanks for your share. No, we didn’t ride an elephant in Indonesia, when doing my research I could not find Bali Zoo to be maltreating elephants. I’m not just “happy to ride elephants” it’s an informed choice and I don’t believe Bali Zoo to be performing those wicked practices that SOME Thai operators are doing. Whether it’s completely kosher…. it’s an Asian zoo so it’s never going to be the standard we are use to. I try to break the story down to whether it is ethical or unethical laying it down as I see it. After visiting elephant sanctuaries in Thailand and studying captive animals myself there is nowhere in the world where it is ethical to ride elephants. Wether you see staff mistreating them or not, as a responsible tourist you should try not to ever partake in any behaviour that is un-natural for an animal. The dark truth of elephant riding is that they strip the elephants from their parents when they are young and are beaten repeatedly until they become submissive. It is only at this point that they will happily obey human commands and can be taught to “perform” un-natural behaviours. Amazing photos! I would love to feed an elephant a pineapple!